The staff at Foresight Architects has been hard at work since last summer working on the reconstruction of Ss. 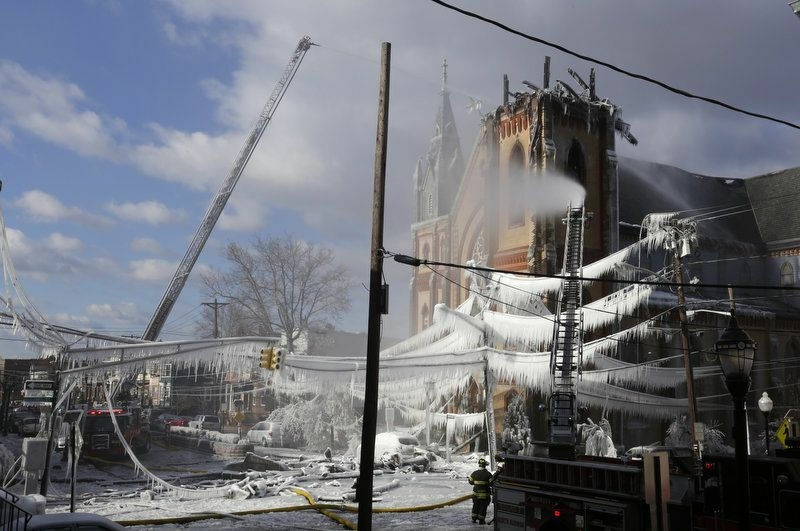 Joseph & Michael Church in Union City, NJ, which was heavily damaged by fire in the winter of 2017. Restoring the late 19th century Gothic church has required a delicate balance of respecting the historic architecture while meeting the needs of an active and devoted diverse Catholic community. Brought onto the team after reconstruction of the roof was already underway, the project has been “fast-tracked”, meaning the design of the renovations must constantly stay a step ahead of the ongoing construction. You can read more about the fire and the restoration and see photos of both in this recent article on NJ.com.